A Tokyo court on Wednesday ordered Aleph, the main successor group of the Aum Shinrikyo doomsday cult, to pay more than ¥1 billion in damages to the victims of the Tokyo subway sarin gas attack that shook the country in March 1995. A series of terrorist attacks and other crimes committed by Aum Shinrikyo cultists, which left a total of 29 people dead and more than 6,000 injured, resulted in the indictment of 192 people. Last July, Japan executed 13 former members of the cult who were held responsible for the 1995 sarin attack — an act of terror that killed 13 people and injured thousands more. The cultists’ group renamed itself to Aleph in 2000. In July of that year the group apologized to the victims and agreed to pay some ¥900 million to them by 2005 through an administrator, as the group had declared bankruptcy. Since then Aleph paid a certain amount to the victims’ supporters but withheld the payment of the demanded amount, claiming it had no assets to repay the debt. Throughout negotiations in a Tokyo summary court, Aleph admitted to its outstanding debt but continued to delay the payments. The negotiations continued for nearly six years but ended without progress. The lawyers supporting the victims’ group then took the case to the Tokyo District Court demanding some ¥1.05 billion in compensation from Aleph. In Wednesday’s ruling, presiding Judge Kazuhiko Tanaka ordered Aleph to pay the victims around ¥1.02 billion plus interest, taking into account the amount returned over the 19 years. 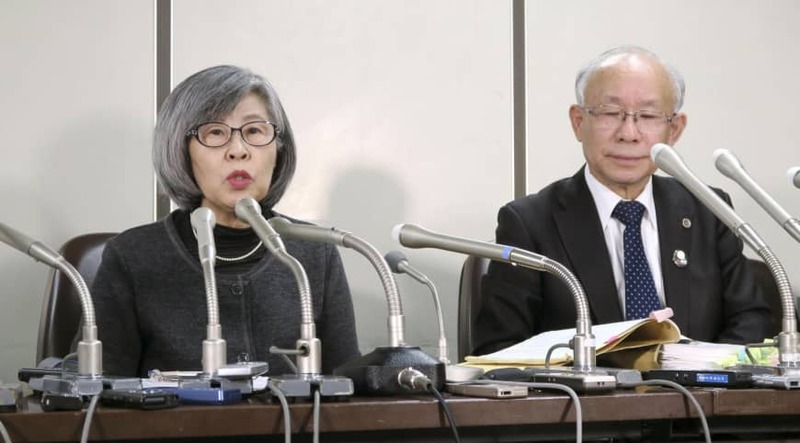 At a news conference held after the Tokyo court’s ruling Wednesday afternoon, attorneys representing the victims in the lawsuit said they were content with the court’s decision, saying the judges apparently recognized the plaintiffs’ claim. The compensation money will be paid to 517 victims and surviving family members. Kenji Utsunomiya, one of the lawyers, concluded the court had taken into account Aleph’s attempts to flee from their responsibility. “The victims are aging and we are hoping this ruling will prompt (Aleph) to return the money to the supporters to satisfy the claims of the victims,” he said. Last year the Justice Ministry executed the 13 cultists — including Shoko Asahara, the founder of the doomsday cult and mastermind behind the deadly March 20, 1995, nerve gas attack. 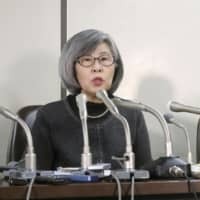 “The victims have been suffering for a long while, many have lost their jobs,” said Shizue Takahashi, the wife of one of the victims named in the lawsuit. “But the victims are still waiting for the redress payments, for them it’s not over yet,” Takahashi added.